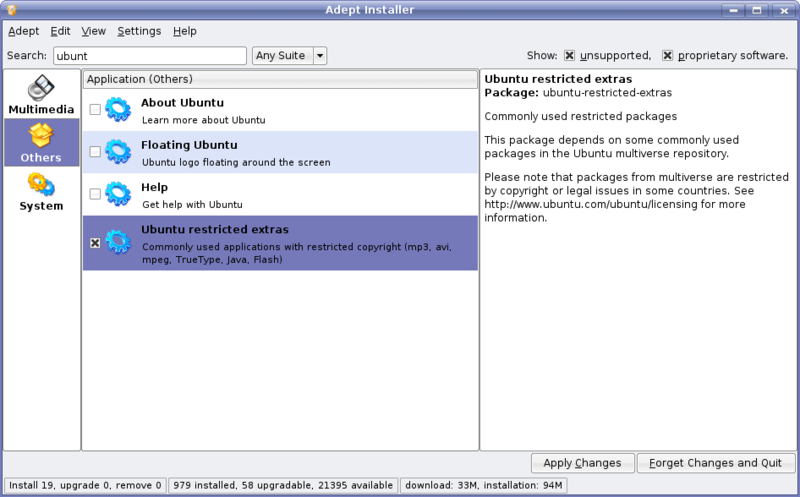 Well it pretty simple, All you’ve to do it click on Add/Remove Programs and choose “Ubuntu Restricted Extras”. The snapshot below indicates the package under Kubuntu Feisty Fawn. If you skipped installing VLC, then fear not! Install VLC via the 1-Click installer! Here’s the link. Step 4: Install w32Codecs in order to play everything under the Sun. Next Post Next post: Wubuntu! !